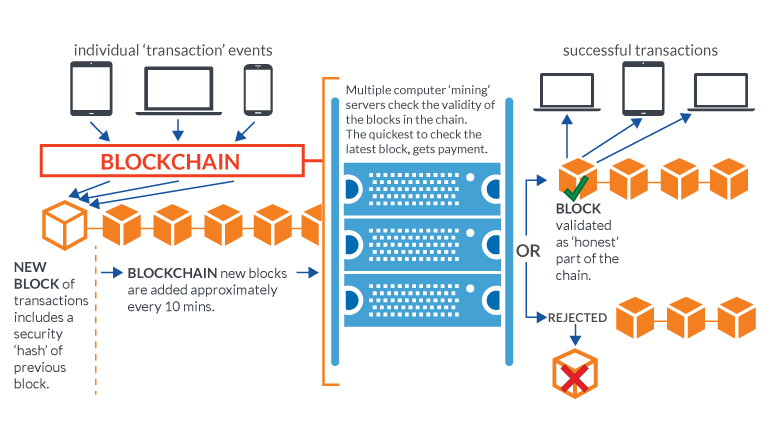 A blockchain is a publicly shared immutable ledger – an append only log of transactions which uses crypto-currency techniques to minimise any security risk. 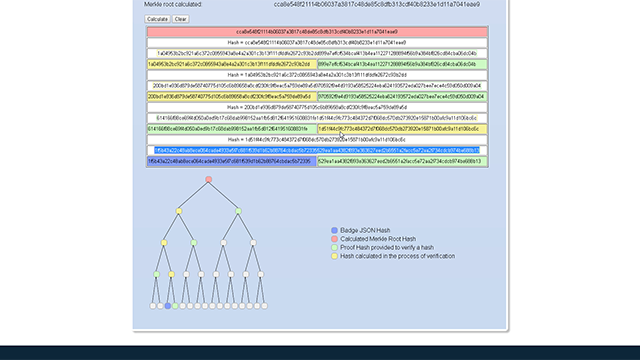 As can be seen in the figure above, transactions are contained in blocks which are linked together through a series of hash pointers. Any tampering of a block can be detected since the hash pointer to it would no longer be valid. As a ledger system it is very open. In addition to the source code being openly available a key feature of blockchains is that in principle every user has their own copy of the entire blockchain. In fact, there is no central or master copy simply the multiple copies held by the volunteers in the user community. Volunteers are rewarded for their effort through a number of algorithmic processes which can result in payment. Small payments can be attached to individual transactions. 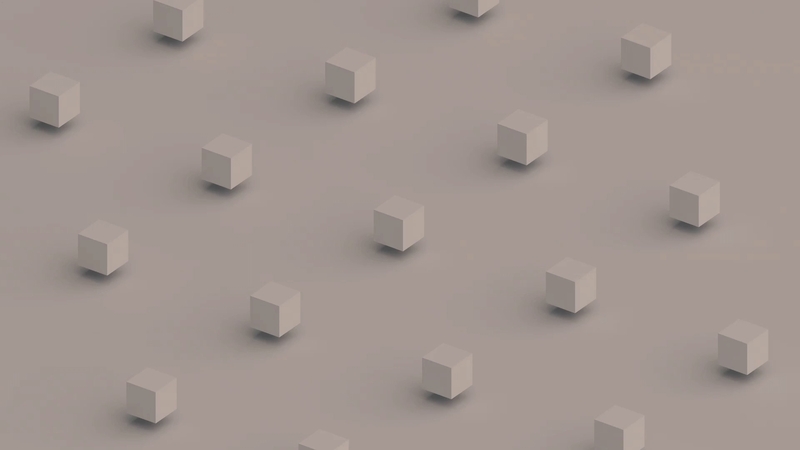 Consensus on what types of blocks and transactions can be part of the blockchain is automatically reached according to whether the majority of blockchain holders accept newly proposed blocks. This attribute leads to a system where consensus is hardwired into the software. Without the need for any central control or mediator blockchains allow for leaderless democracy — a new way of governing human behaviour online through ‘one computer one vote’. In this way, a blockchain can act as a provenance protocol for sharing data across disparate semi-trusting organizations. We envision a world in which the awarding and validation of qualifications no longer occur exclusively under the management of an education institution or an employer and individual students, teachers, and peers take more ownership of the learning experience and its outcomes without compromising on safety, security, and accessibility. The centralised model of the present is no longer sustainable: learning happens increasingly outside the brick-and-mortar lecture halls of schools, colleges, and universities on online platforms, within communities of like-minded individuals, or by contributing to projects and initiatives in the real-world. Learning is far more international than it used to be: key education players open campuses abroad, while students travel to different countries to improve their employability prospects. In the networked, digitally empowered world of the 21st century, education providers often do not have remit or in fact the means and capacity to cover the range of activities learners engage with, which attest their achievements, knowledge, and skills. We believe that blockchain technologies may hold an answer to collating the outcomes of this new distributed learning reality and we intent to explore the possibilities that this infrastructure could provide. In a typical education scenario students learn through a number of pedagogical activities and are assessed and receive feedback from teachers. Learning occurs either face-to-face, online, or a mixture of the two, all under the control of an educational institution providing quality, credibility, governance, and administrative functions. While the educational institution issues documentation that certify the achievement of major milestones in a degree (including transcripts), students are responsible for preserving and storing the work they had to carry out for their courses (e.g., essays, lab experiments, designs, software etc.) and the feedback given by the teachers for later use (e.g., to show to potential employers, apply for a study programme, internship, scholarship etc.). This creates a high overhead for the students, as they need to keep track, organize, and safely archive the relevant information, which often includes many individual pieces of work, stored as different media (e.g., emails, CAD files, pictures, sound, scans etc. ), created over months or years of study. In the same time, the recipient of this information (a potential employer, the admissions team of educational institutions etc.) has very limited means to check the evidence submitted or to assess the candidate, as they have little to no context of the relevance of the work carried out to standard qualifications and skills frameworks. 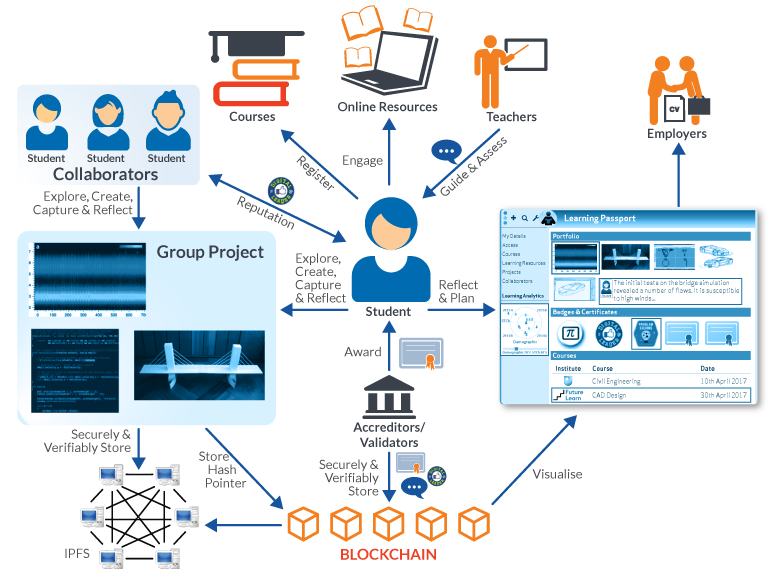 Blockchain based ePortfolios can address these challenges through the development of an open decentralized, peer-to-peer platform, in which control of and responsibility for this information flow is radically disintermediated, away from educational institutions to students and teachers. 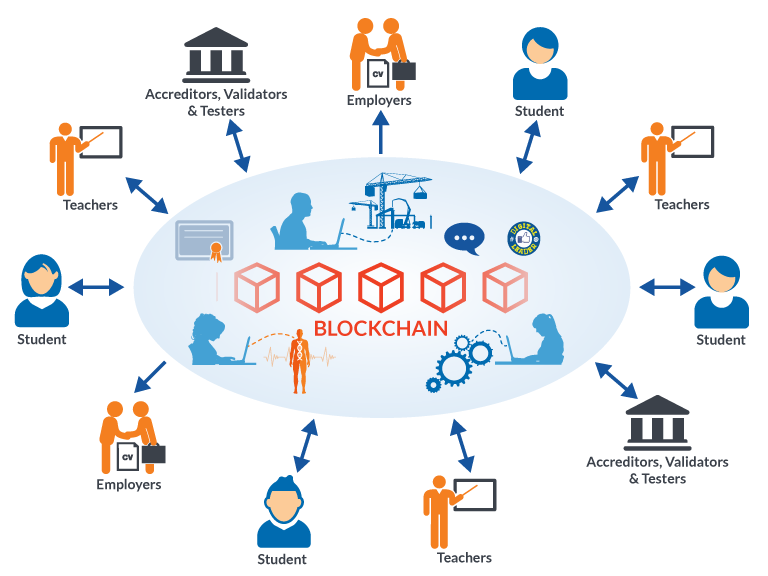 This will be achieved by using blockchain-based distributed ledgers, a technology that enables the secure and resilient management of distributed data in combination with data analytics techniques that add scale and flexibility to the way levels of qualifications are defined and granted.